The Australian Taxation Office (“ATO”) released the final version of its Taxation Ruling on the two additional tests for income tax exemption for NFP’s in TR 2015/1 on 25 February 2015. This article updates the Better Boards Newsletter of 9 February 2015 dealing with the predecessor Draft Ruling TR 2014/D5. In June 2013 the then Labor Federal Government amended the Income Tax Assessment Act 1997 (“the Tax Act”) to introduce two additional tests which NFPs need to satisfy for income tax exemption. Many advisers were concerned about the wording of the additional tests and the potential interpretation by the ATO to adversely impact on NFPs. The ATO produced a draft taxation ruling TR2014/D5 “Income Tax: special conditions for various entities whose ordinary and statutory income is exempt” on 13 August 2014 inviting comment by 26 September 2014 (“the Draft Ruling”). The final version of the Ruling issued on 25 February 2015 as TR 2015/1 Income Tax: special conditions for various entities whose ordinary and statutory income is exempt (“the Ruling”). The Ruling seeks to provide the ATO’s interpretation of the two additional tests. The ATO also issued Compendium TR 2015/1 EC which is a summary of issues raised in submissions on the Draft Ruling and the ATO response. Apply its income and assets solely for the purpose for which the entity is established (the “Income and Assets Condition”). 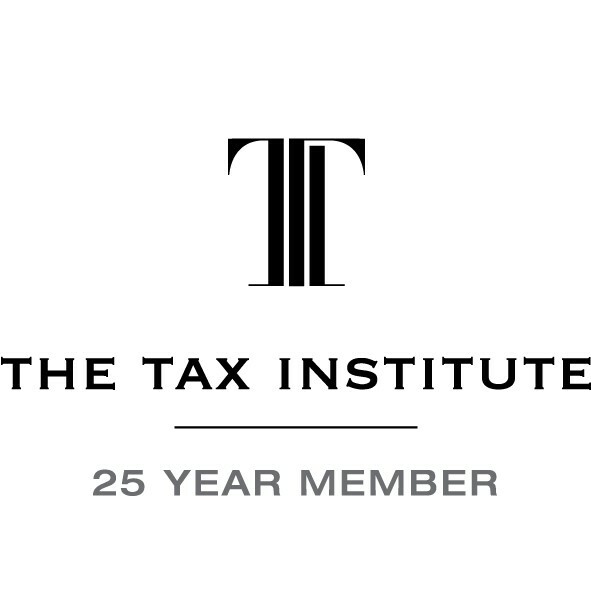 This article seeks to alert NFPs to the two additional tests and to consider risk management strategies in protecting income tax exempt status. Schedule 11 of the amending legislation was headed “Miscellaneous amendments” and introduced many amendments to the Tax Act including the two additional tests. It was not a high point in government transparency. However, of greater concern to many NFP advisers was the potential for the two additional tests to be interpreted narrowly and therefore to the detriment of NFP entities. The explanatory memorandum to the amending legislation did not carry any clear reasoning for the purported mischief that was sought to be cured. Nor does the Ruling, although the ATO notes that it administers the law but does not create the policy. The Productivity Commission’s 2010 research report: “Contribution of the Not-for-profit Sector” estimates that there are approximately 600,000 NFPs in Australia. Not all qualify for income tax exempt status. The Australian Charities and Not-for-profit Commission (ACNC) notes that nearly 60,000 are registered charities. These represent a lot of organisations that were not consulted about a significant change to the Tax Act that directly affects these organisations. To briefly recap, the Tax Act prescribes that all the ordinary or statutory income of certain entities will be exempt from income tax if the applicable special conditions to each respective entity are satisfied. The Ruling applies to a broad range of NFPs including registered charities; scientific institutions; public education institutions; funds established to enable scientific research to be conducted by or in conjunction with a public university or public hospital; societies, associations or clubs established for the encouragement of science or community service (except political and lobbying services); employee or employer associations; trade unions; public hospitals or hospitals carried on by societies or associations; and societies, associations or clubs established for the encouragement of animal racing, art, a game or sport, literature, music or musical purposes. Each of the foregoing entities fall under certain items in the tables contained in Division 50 of the Tax Act and must satisfy the special conditions applicable to the relevant item in order for its ordinary and statutory income to be exempt from income tax. However, each entity must now also satisfy the two additional tests. The range of entities covered is broad and the application of the other tests for exemption may differ depending on the type of organisation. The Ruling notes that the entity firstly needs to determine what constitutes its governing rules. Principally, the governing rules will be found in the entity’s constitution but there may be other sources that comprise or supplement the governing rules such as relevant legislation. The Ruling states that in order for an entity “to be exempt from income tax for all of the income year, it must (among other things) satisfy the governing rules condition at all times during that income year. While an entity is in breach of the governing rules condition its ordinary and statutory income will not be exempt from income tax”. Accordingly, a breach of a substantive requirement may result in the loss of income tax exempt status for the organisation. The Ruling contains a number of examples of rules that are considered to be substantive requirements and rules that are considered to be procedural requirements. Some of the examples provided by the Ruling of procedural breaches include rules requiring approval for certain expenditure and rules relating to the notice of meetings. A failure to meet such procedural requirements will not result in a breach of a Governing Rules Condition. However, the precise distinction between a substantive requirement and a procedural requirement in some cases will not be clear but the consequences may be very significant. The Income and Assets Condition requires an entity to “apply its income and assets solely for the purpose for which the entity is established”. It is important to understand that the ATO interpretation of purpose and the extent of ancillary or secondary purposes differs for charities to that of other items such as NFP sporting clubs. For charities, the ATO has a very restricted scope for ancillary purposes. In the writer’s view this issue still requires a final determination by the High Court of Australia. In Word Investments (Federal Commissioner of Taxation v Word Investments  HCA 55) the High Court did not resolve the issue, as it did not need to do so, because it determined that charity was Word’s sole purpose. The Court held that there were no ancillary or incidental purposes. However, for NFP sporting clubs, the full Federal Court in Cronulla Sutherland Leagues Club Ltd v Federal Commissioner of Taxation (1990) 23 FCR 82, determined that an entity to be established for the purpose of sport is only required to have sport as its main purpose and that it may have secondary or subordinate independent purposes. We understand that the ATO applies the same approach to other societies, associations and clubs in section 50-45 that it does to sporting clubs. For charities, the ACNC Governance Standards (particularly Governance Standard 1 dealing with not-for-profit and working towards charitable purpose) require compliance and that charities should now have risk management processes in place to consider the new tests and have availed themselves generally of checklists and guides from the ACNC website. The Ruling does acknowledge that an entity can accumulate funds provided that it can establish that the accumulation is consistent with its purpose. The Ruling appears to place greater emphasis on appropriate evidence to support the reason for the accumulation. The Ruling acknowledges that the Income and Assets Condition will be satisfied notwithstanding an application of an “insignificant nature” to another purpose. It further notes that “in order for an entity to be exempt from income tax for all of the year, it must (among other things) satisfy the income and assets condition at all times during that year”. There are some administrative concessions that the ATO may make. In short, the Ruling seeks to synthesise coherently the two additional tests for income tax exempt status across a broad but disparate group of entities with sometimes conflicting law applying. In these circumstances we consider that the authors of the Ruling have done a commendable job. For charities, the ACNC Governance Standards (particularly Governance Standard 1 dealing with not-for-profit and working towards charitable purpose) require compliance and that charities should now have risk management processes in place to meet these standards and have availed themselves generally of checklists and guides from the ACNC website. These guides should also assist charities with the new tests. The Ruling notes that there may be a potential overlap between ATO income tax administration and ACNC governance standards administration for charities. Where a charity does not meet these Income and Assets Condition “it will not be entitled to income tax exemption”. The Ruling further states: “The circumstances that gave rise to the failure of the Income and Assets Condition may also have consequences under the governance standards of the ACNC”. For non-charity NFPs eligible for income tax exempt status we accept the ATO’s recommendation, that status be reviewed annually and documented, as good practice. Consider the entity’s compliance with its Governing Rules (including relevant legislation). Review the entity’s Governing Rules (particularly its constitution). If there has been a failure to comply, is it a substantive failure or a procedural failure? Is there any remedial action required? If so, what? Document the Governing Rules Condition review and minute at board level. Consider the entity’s purpose, for which it was established. Has the purpose changed? If so, how? Have the income and assets of the entity been applied to its purpose? If not, why not? If it is an accumulation, is the reason for the accumulation consistent with the entity’s purposes? Has there been a failure of the Income and Assets Condition? If so, is there any remedial action required? If so, what? Document the Income and Assets Condition review and minute at board level. Review all the other tests relevant to the entity for income tax exemption, consider any remedial action required. Document and minute at board level. Consider whether an application to the ATO for a Private Binding Ruling is required? The Ruling is divided into a binding section and an explanatory section. The ATO has sought to assist NFP office bearers and advisers to understand the ATO’s interpretation and proposed administration of the two new additional tests across a range of not-for-profit and charitable entities. It would be an appropriate time, prior to financial year end, to consider these matters as part of your organisation’s compliance calendar and risk management strategies. PUBLISHED BETTER BOARDS AUSTRALASIA WEBSITE ON 2 APRIL 2015, CLICK HERE TO VIEW.